The Outpost #107: Your weekly shot of Elite: Dangerous. Chapter 4 release, devs communications, new content from and for the community! Elite: Dangerous, Beta 3.3: Chapter 4 Beyond. Exploration, Cartography, Lights & Colours, Codex, enhancement UI, BGS, Scenarios and more! 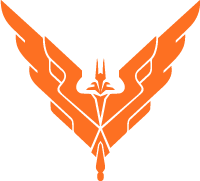 Check out the Elite: Dangerous Beyond Chapter 4 preparation plans, beta on October 30th! Contents, Livestreams, Trailer and details not to be missed.